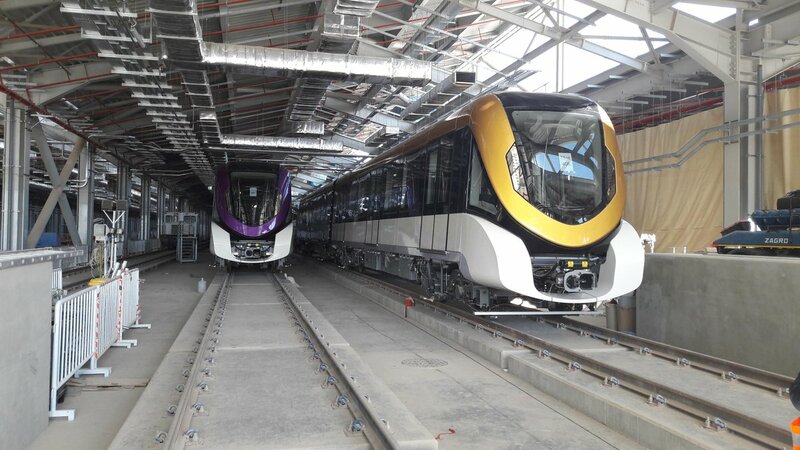 The first dynamic tests have taken place on the Riyadh Metro in Saudi Arabia. In an announcement on June 7, Alstom said that initial dynamic tests have been ongoing for “the past few weeks” at Line 4’s depot test track. Power supply and signalling systems have been tested using Metropolis trains that have already been delivered. Managed by the Arriyadh Development Authority, the project aims to construct and operate a system of driverless trains across 176km of track on six different lines. Densely populated areas, government facilities, commercial, education and health centres will be connected with 85 metro stations in the country’s capital city. The French rolling stock manufacturer is part of the FAST consortium, alongside TYPSA, Strukton Rail, SETEC, Samsung, Freyssinet, Atkins and FCC Construction, which is suppling a fully integrated metro system for lines 4, 5 and 6. Alstom is suppling 69 two-car Metropolis-based trains, its Urbalis signalling system, Hesop energy recovery station and tracks for the project. Alstom senior vice-president for Middle East and Africa Didier Pfleger said: “This test run is a significant milestone for Alstom and for the project. Read more: What next for bi-mode trains?